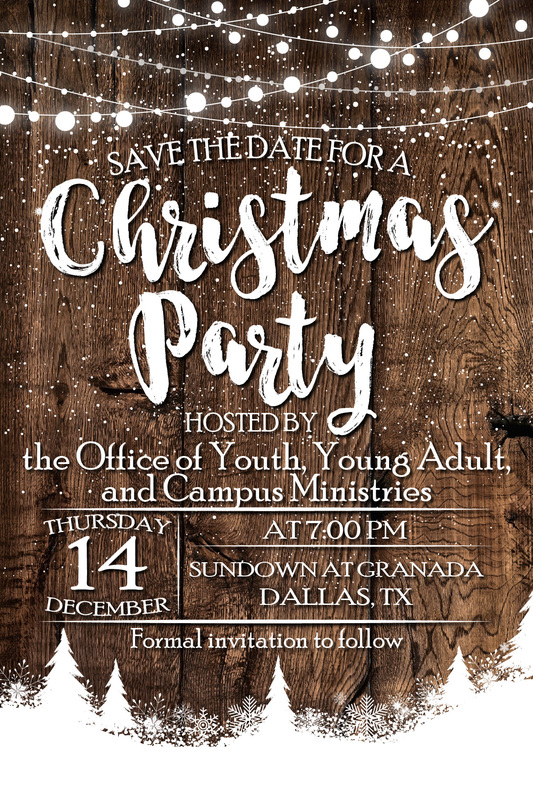 You and one guest are invited to join the Office of Youth, Young Adult, and Campus Ministries in celebrating the joyous season of Christmas! Don your best festive attire as you enjoy dinner and entertainment from Dave Moore. Did you know you can bring a guest? Please list your +1 below!